Here is the moment you have all been waiting for, it is the quarterfinals of the Pedal Cup which is the World Cup of Metal. You guys came to play in the knockout stage and I want to thank every single one of you guys for that because without you none of this is possible. Now we have some interesting matches moving forward like Morbid Angel (rep. USA) taking on Confess (of Iran) and while our cultures may be different from each other, there is one thing they have in common and that is they live and breath metal. Literally they do because Confess are in Jail for playing “Satanic music” and there is nothing more metal than that. Arch Enemy (Rep. Sweden) look to repeat the same success they had in the previous round, but they have one heck of a challenge ahead of them in Behemoth (rep. Poland). The legends of Brazil in Sepultura are going to need all the votes they can get when they take on BABYMETAL who scored the highest amount of votes in the last round. Last, but certainly not least Portugal’s own Moonspell face a heavy task as they take on Norwegian legends Dimmu Borgir in what should be one heck of a clash. You guys have 24 HRS to vote so vote for the bands you love and have some fun with it. As always, there are three ways to vote with one being on the Facebook page, the other on Twitter, and the last way to vote right here on this blog. 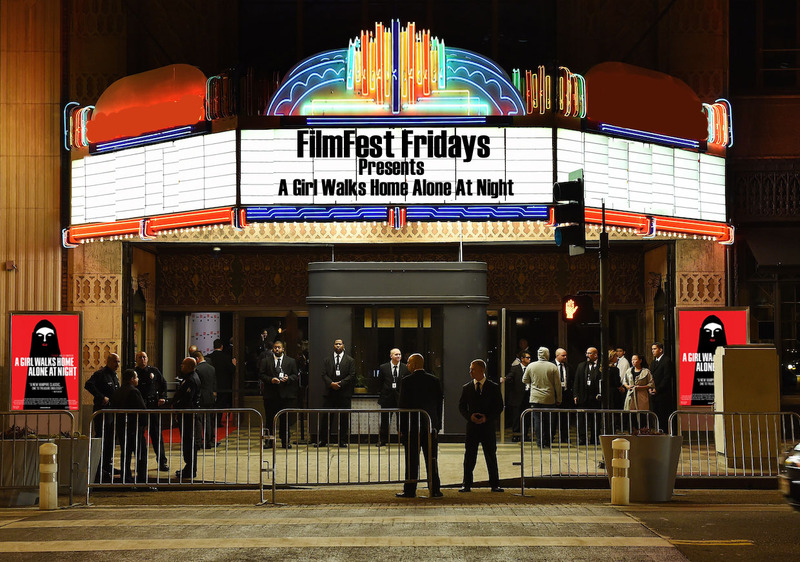 When I started to do Filmfest Fridays, it was for me to have a chance to see films that I otherwise would have never viewed for the blog, but I have a passion for foreign and Independent films. It’s been a while since I last did a Filmfest Friday review, but I ran across the perfect film to do so. The film is called A Girl Walks Home Alone At Night and it’s about the inhabitants of an Iranian ghost Town called Bad City. You see in Bad City there’s all kinds of bad things that happen from hookers and drug dealers to drug abuse, various forms of mischief and a lot of dead bodies, but that city is about get rocked by something they never see coming. You see the residents of the city do not realize that a vampire is living among them and is taking residents out one by one. The film stars Sheila Vand (Argo) as The Girl, Arash Marandi (Kunduz: The Incident at Hadji Ghafur ) as Arash, Marshall Manesh (True Lies) as Hossein the junkie, Mozhan Marnò (Charlie Wilson’s War) as Atti ‘The Prostitute’, Dominic Rains (Captain America: Winter Soldier) as Saeed The Pimp, Rome Shadanloo (Entourage) as Shaydah ‘The Princess’, Milad Eghbali (The Magic Shoes) as The Street Urchin, Reza Sixo Safai (A Better Place Than This) as Rockabilly, Ray Haratian (Argo) as The Boss ‘Commercil’, and the film was directed Ana Lily Amirpour (A Little Suicide). I have always said that the vampire genre needed fresh blood pumped into it (pun intended) and I truly believe we have something here with A Girl Walks Home Alone At Night. The film is nothing like what you thought it may be about because it injects some romance and drama to go along with the horror. The girl is very awkward at times as she barely speaks, but when she is about to launch on her prey, there is nothing shy about her. The film is entirely in black and white and believe it or not it was filmed in California. I was asking myself throughout the whole film how they were able to make movie like this in a strict country like Iran. I took a class in Middle Eastern films and a film like this according to what I read would have never been made and to see it made in California made sense to me. One of the other cool things to me is that you never find out what the girl’s name is and the kid she is in “love” with doesn’t seem to mind after a while. The way she was makes you think that she was the watcher of the city getting rid of the people she deemed wasteful anyways. The soundtrack is interesting as well, but very catchy in my opinion and the cinematography was pretty cool as it was basically an American style film in Persian. You should check this film out on Netflix right now as I am giving it an A for a final grade.